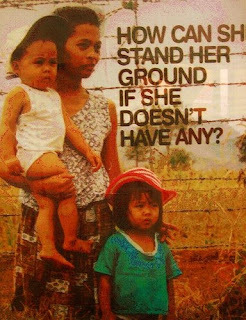 The State shall, by law, undertake an agrarian reform program founded on the right of farmers and regular farmworkers who are landless, to own directly or collectively the lands they till or, in the case of other farmworkers, to receive a just share of the fruits thereof. To this end,the State shall encourage and undertake the just distribution of all agricultural lands, subject to such priorities and reasonable retention limits as the Congress may prescribe, taking into account ecological, developmental, or equity considerations, and subject to the payment of just compensation. In determining retention limits, the State shall respect the right of small landowners. The State shall further provide incentives for voluntary land-sharing. Section 5. The State shall recognize the right of farmers, farmworkers, and landowners, as well as cooperatives, and other independent farmers' organizations to participate in the planning,organization, and management of the program, and shall provide support to agriculture through appropriate technology and research, and adequate financial, production, marketing, and other support services. These are beautifully worded paragraphs from our constitution. At first glance, it seems that social justice is at hand. But it is not what it seems, “the devil is in the details” so this say. There are loopholes and the farmers already know about this. I have attended one of the Mindanao Rural Congress and farmers from different places experience the same things. A simple legal technicality can turn the tables against them. Landlords can escape coverage in their lands in crevices in the implementation of the Comprehensive Agrarian Reform Program. The implementation of the Program ended last June 2008, its fate yet to be decided and farmers and civil society seems to be divided. Some support the Genuine Agrarian Reform Bill (HB 3059), while the others support a CARP Reform and Extension. there are many conflicting existing policies on agrarian reform that made the new proposed policy seem irrelevant. in terms of policies, there are many, but those who crafted the policy found it more difficult to implement.